She’s a maniac, maniac and that’s for sure! This post is part of an ongoing series featuring items from the newly acquired Santo Domingo collection. 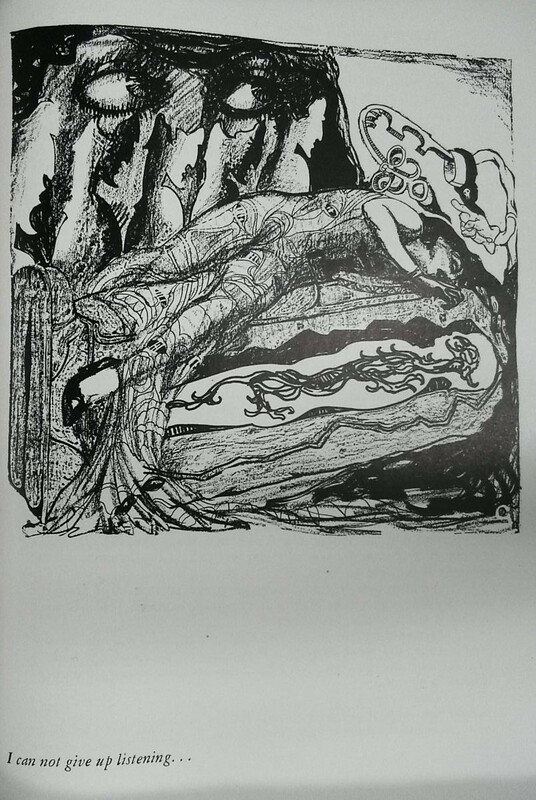 The Maniac pictured here is a reprint of the original 1909 edition which claims to be an account of madness from a patient’s point of view. Mahlon Blaine is the actual illustrator of The Maniac though he used the name G. Christopher Hudson among other pseudonyms throughout his career. Little is known of the real life of Blaine mainly because he seemed to change his story about his origins and life according to his mood. Apparently he did work for a variety of clients including publishers, pornographers, and even Hollywood movie producers. and To A God Unknown, both of which can be found in Houghton and are pictured here. 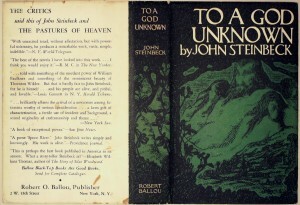 Blaine also designed the endpapers for To A God Unknown seen above. 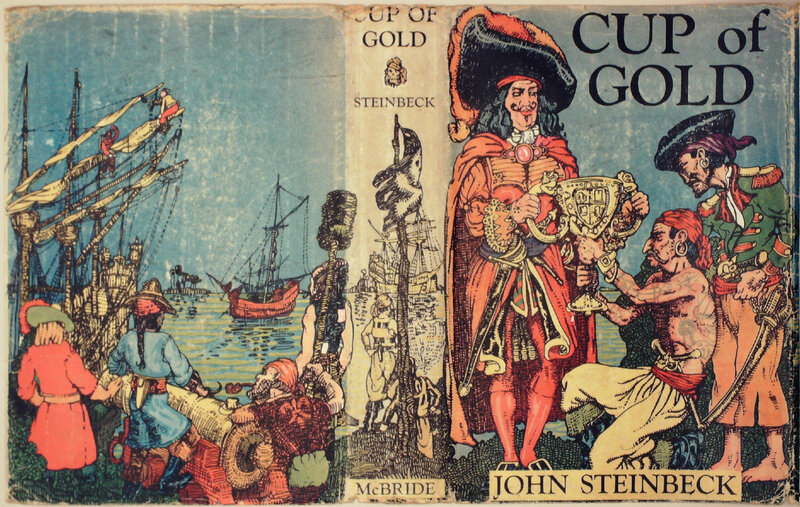 Blaine and Steinbeck met in 1925 on the steamship Katrina where they became friends. 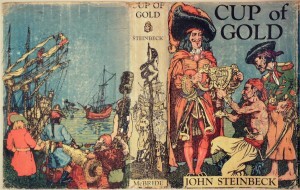 Later on when Steinbeck wrote Cup of Gold the publisher contacted Blaine hoping his recognizable style would draw readers to this new author’s work. 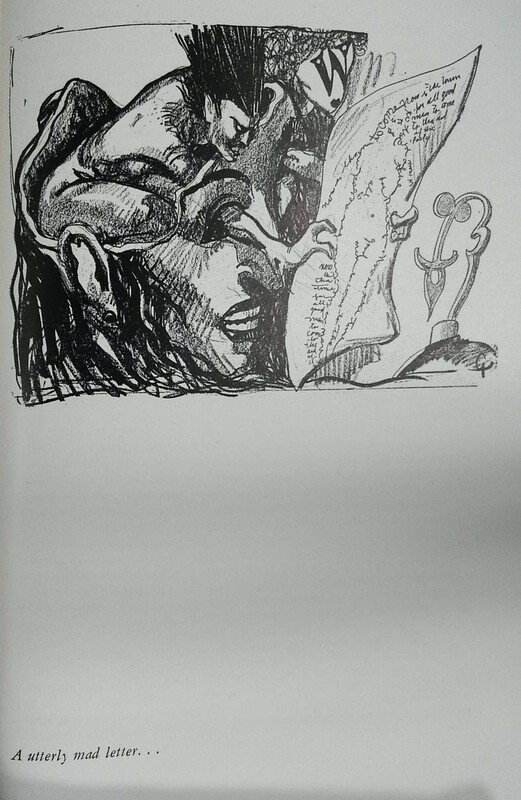 The Maniac is written anonymously and the author refers to herself as a “Human Document” and urges the reader to use her narrative as an instructive text on madness. Today this would most likely be termed a psychotic break or the descent into schizophrenia. 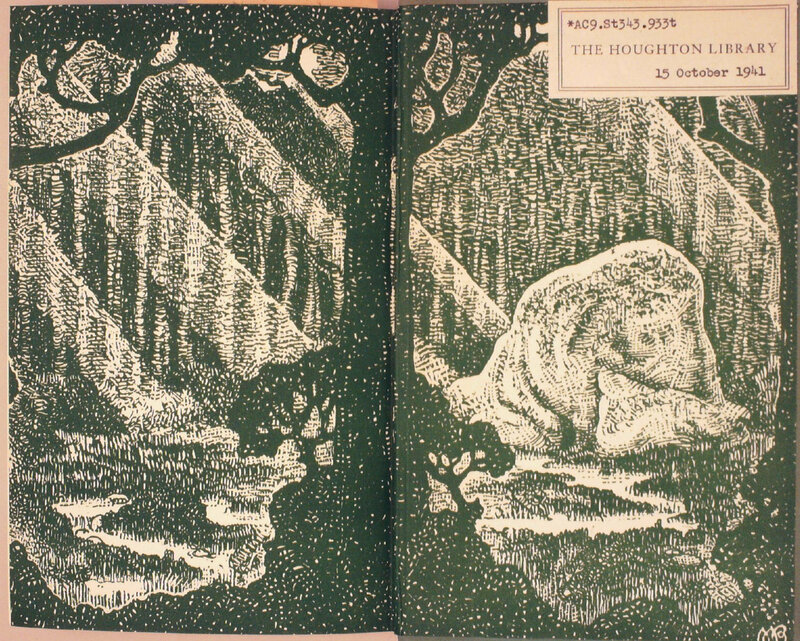 The illustrations in the text reflect many perspectives within a single image with layers of multiple scenes depicted. 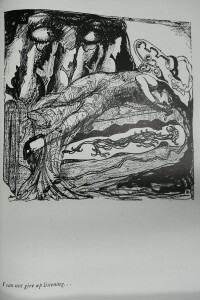 This was a technique that Blaine had used in previous work, but the context seems particularly appropriate in this case. The captions don’t provide much insight into what is happening in the image but seem more like a title of a work. 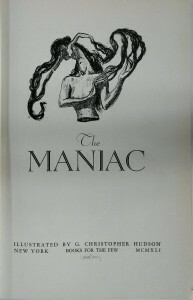 The maniac / illustrated by G. Christopher Hudson. New York : Books for the Few, 1941 RC516.T38 1941 can be found at the Countway Library at the Harvard Medical School in Longwood. 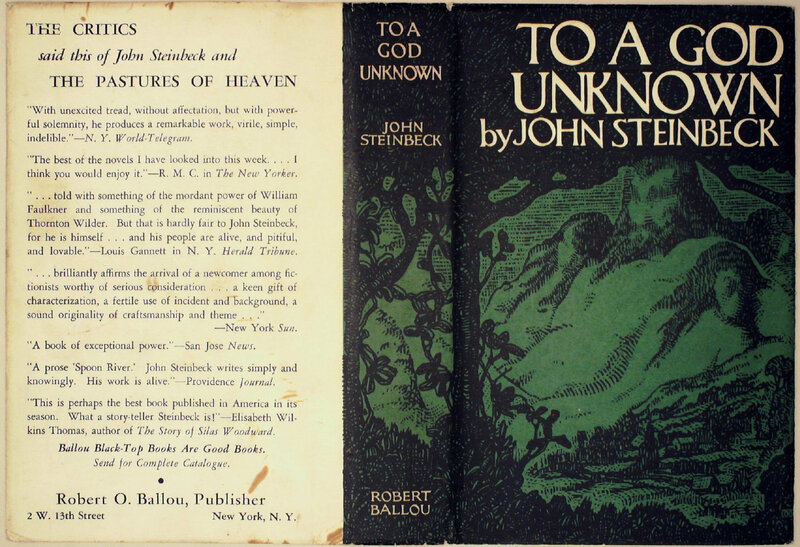 Thanks to Alison Harris, Santo Domingo Project Manager and Joan Thomas, Rare Book Cataloger at Countway for contributing this post.